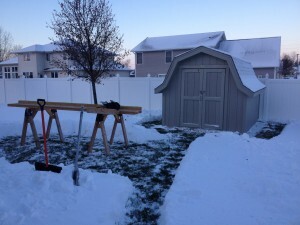 MAINTENANCE-FREE! 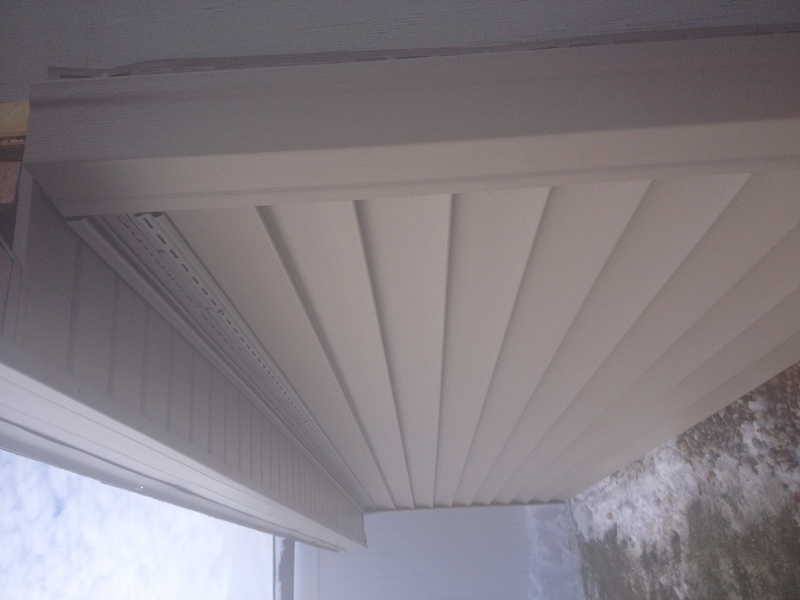 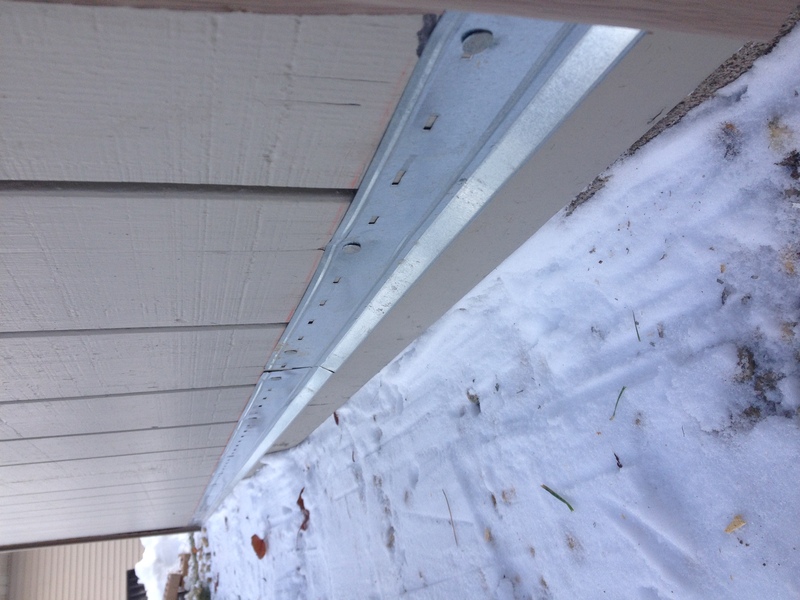 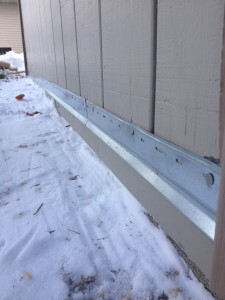 T-111 wood siding looks good at first glance, but NOBODY likes to paint! 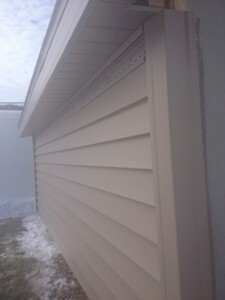 I was asked to install premium TimberCrest vinyl siding (to match the khaki-colored house), aluminum soffit & fascia (same color), and maintenance-free PVC trim boards to finish the look. 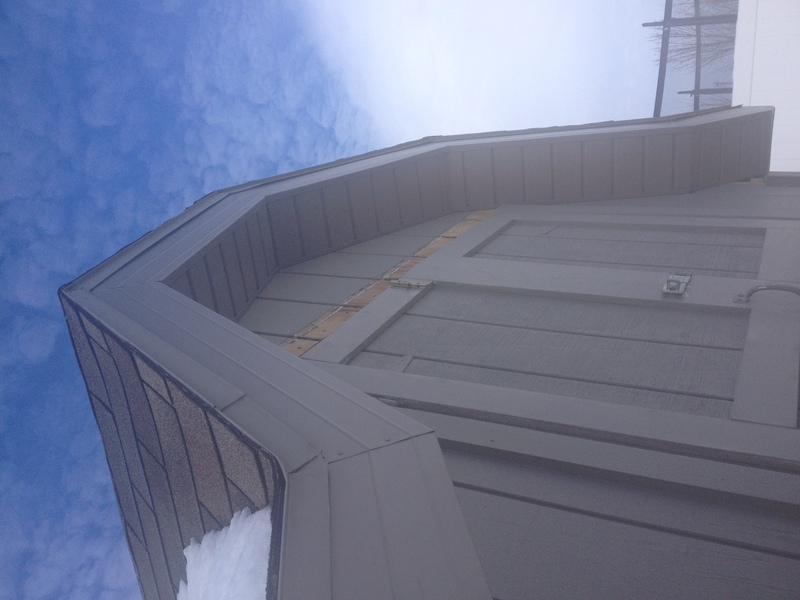 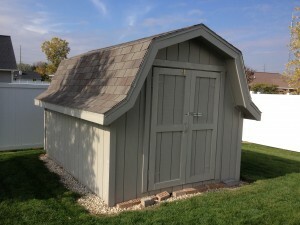 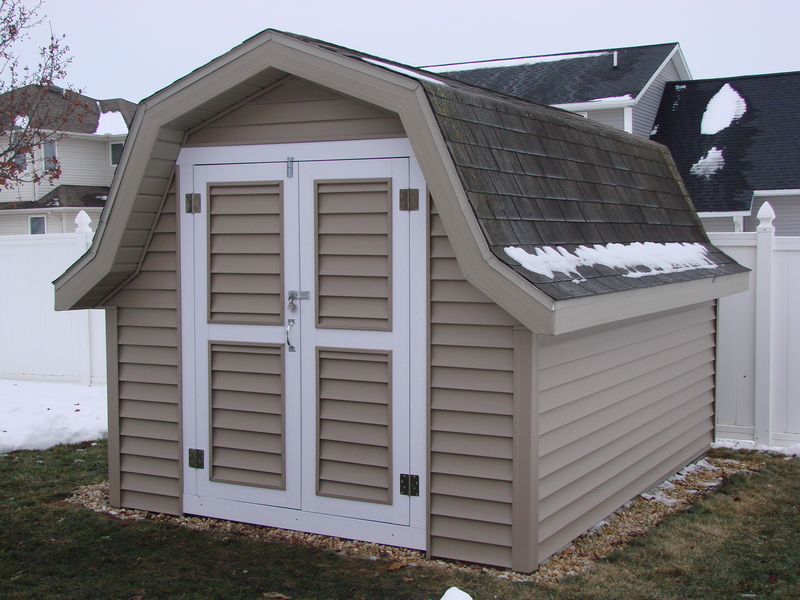 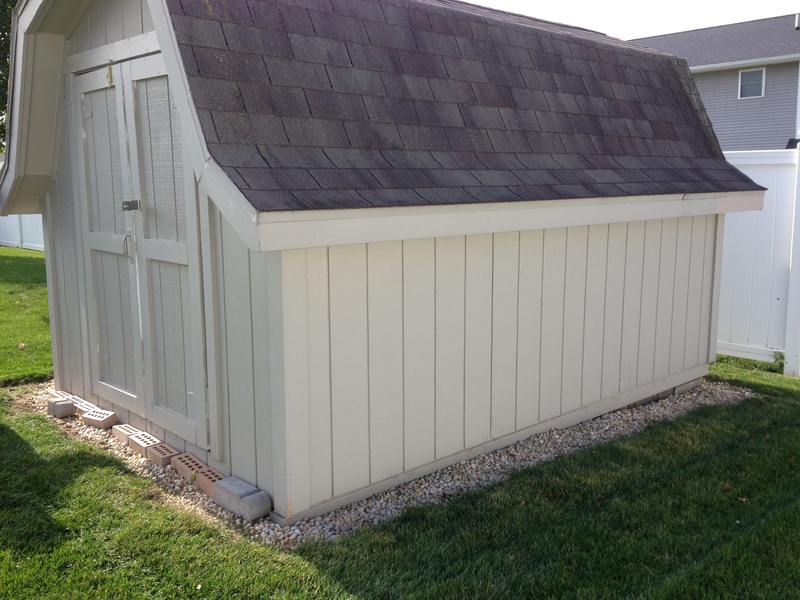 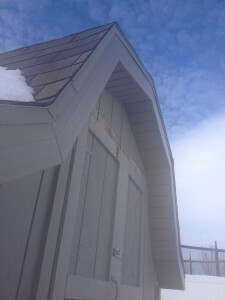 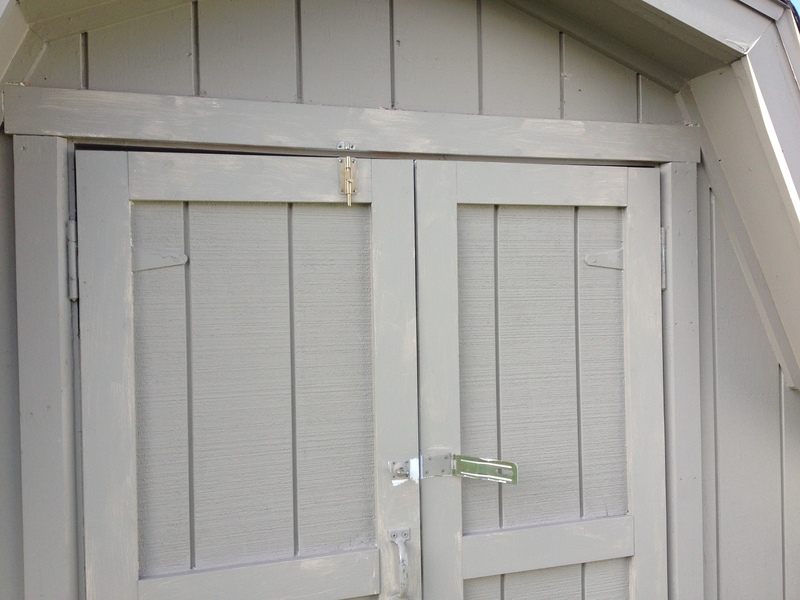 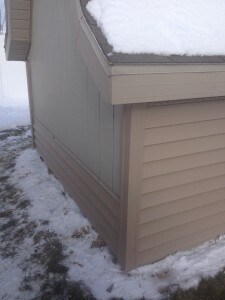 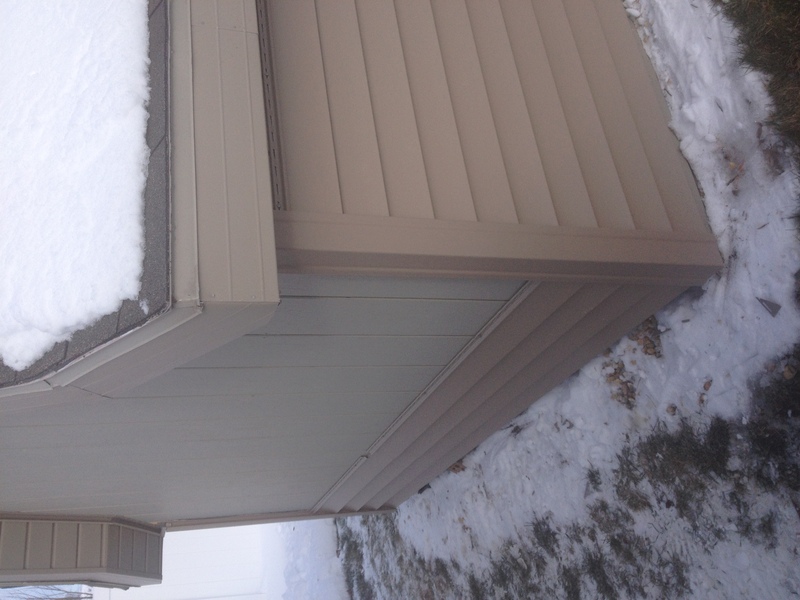 This gal can ditch the paintbrushes and enjoy the lifetime warranty of her new shed facelift!